Charles Omoregie August 21, 2017 0 Comment Android tips Did You Know? 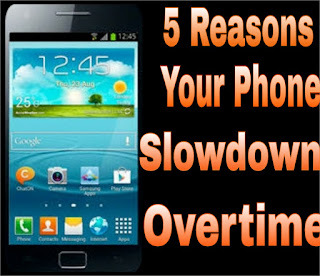 There are so many reasons that may cause your phone to slow down, in this post we shall be discussing only five (5) common reasons why smartphones slow down over time most particularly Android smartphones. In the world today, almost all phone users use smartphones running on Android Operating System while the little percentage is holding onto iOS devices. This is one major cause of slow down performance on Android smartphones. Most apps installed in our phone usually run on the background without the user even noticing. If too many apps are running on background, then there will be a high consumption rate of RAM and CPU which may likely cause your smartphone to slow down. Having lots of apps installed on your phone with a high count of irrelevant apps as well is as bad as your phone being infected by Malware / Viruses which is another cause. Every smartphone has its own internal storage capacity and RAM size. Installing too many apps on your device more than it can accommodate will definitely cause your phone to slow down. Having content infected by worms/viruses may cause your smartphone to misbehave. Always try to visit quality websites and online stores for clean content download. For apps download, visit only designated online stores available for your device's Operating System. A good example of a quality online store is Google Play. Most smartphone users especially Android users are not satisfied with the type of Operating System (OS) their smartphone operates on especially when there are new Operating Systems, so when they notice an OS update available for their device, they rather upgrade their smartphone even to an OS twice or three times higher than its default one. And doing so will definitely make the smartphone to misbehave because it is now operating on a heavy OS that does not suit it. Imagine a smartphone, for example, upgrading from 5.1 Lollipop to 7.0 Nougat, it sounds crazy! The way we use our phone's internal storage matters a lot. Smartphones operate on Flash Memory, and a majority of the smartphone we have today operate on the most common type of flash memory which is known as NAND. NAND memory works effectively on devices when there is some free space, its operation gets slower when it is getting filled up. To avoid this from happening, I'll advise you not to exceed 75% of your smartphone internal storage, always keep 25% space free to allow proper functioning of your device. For example, if your smartphone internal storage is 8GB, then you should not exceed 6GB of usage leaving about 2GB as free space. If you must have contents of more than 75% space on your device, that is why we have external SD Card. 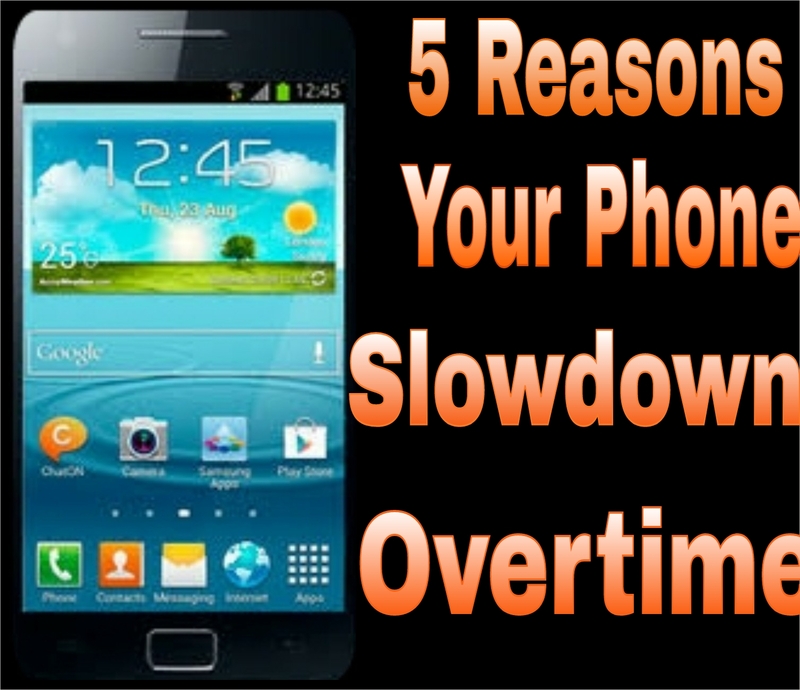 So above are the 5 common reasons that usually cause smartphones to have a degraded performance. Try to follow the above instructions in order for your smartphone not to be a victim. Now invite your social friends to come read this article and get informed as you just did by sharing this post on those social media you joined. You should do this using the below share button.